BCAA drinks are nothing new, and there is an abundance of them out there with very similar profiles. What attracted me to this product, was that it is flavoured entirely from natural ingredients. I’ve recently begun to question the amount of artificial sweeteners I consume via protein shakes, pre work out drinks etc, and while the research on sucralose isn’t as bad as all the others, such as acesulfame K that you would find in diet coke, there still remains the question on whether concrete evidence will point to sucralose being detrimental in the coming years. BCAAs are branched chain amino acids. They are available from foods, but with my current training protocol, which aims to reduced food consumption and train on an empty stomach, I feel BCAAs are a convenient way to ensure the body is not in a catabolic state while lifting. Catabolism = your muscle being used for fuel. Not ideal when you are lifting to gain muscle, or at least hold onto it while you shed fat for summer like me. MRM reload contains the usual 2:1:1 ratio of L-Leucine, L-Valine, and L-Isoleucine. A total of 7.5 grams. It also provides a genourous dose of L-Glutamine, at 3g. L-Gluatmine is the most abundant amino acid and becomes depleted in times of hard training. Finally, there is 500mg of Carnosyn Beta-Alanine. Research shows Beta Alanine can delay the onset of fatigue during intense training. 500mg is a small dose, however higher doses do produce paraesthesia so i’m glad this isn’t much higher. Paraesthesia is a sensation of tingling, which can be quite annoying, and is more suited to a pre-workout supplement. I like that a small dose is provided to top up your stores. It also contains vitamin B6, which is involved in all kinds of energy pathways and neurotransmitter regulation. The powder mixes quite easily, I prefer to use a shaker. Froth forms on the top but this quickly dissipates. There are no clumps, and while some contents will settle, in general just a quick shake then a gulp is all you need to do. The instructions are to mix with 10-14oz of water, this is about 300ml. I prefer to drink the whole thing pre-workout in one go, although you can sip it. The reason for this is, the flavour is not amazing. Stevia and Xylitol are the natural sweeteners used here. They are no where near as sweet as sucralose, and stevia dose have a bitter note, as well as a sweetness intensity that builds. The water melon flavour is quite weak in my opinion, and I think they could have used more citric acid or other acids to get more of an authentic fruit flavour. However, no one ever said going all natural was going to be free of any downsides. I think as a drink you consume quickly, the flavour is tolerable, but even for an all natural beverage, I think they could have done better here.Its hard to comment on the direct training benefits of BCAAs, as its not really something you feel, its more a case of reading the research and the anecdotes and deciding for yourself if you can benefit. For me, this product is a viable all natural option. I may try the lemon flavour next, to decide whether or not the stevia is the main problem with the taste. 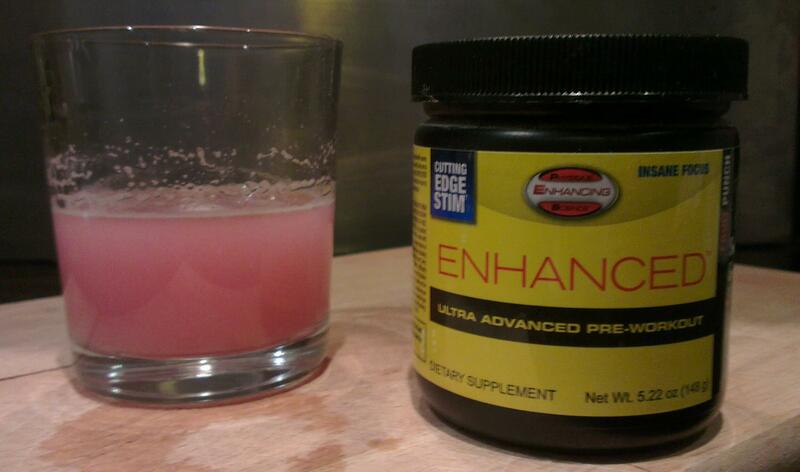 I also intend to add other ingredients I see fit, as this could make a good all natural base for a pre-workout drink. Rhodiola has received a lot of attention recently, as a published research paper found that giving this herb to a species of fly extended its lifespan by 24%. In regards to humans, Rhodiola has long been regarded by herbalists and sports nutritionists to have beneficial affects on stress management and sports performance, respectively. Rhodiola is an “adaptogen”, which means its effects are subjective to the person taking the herb. For a tired person, they may experience increased energy, where as for an overly stimulated person, they may experience feelings of relaxation. I decided to give Rhodiola a try for a month, as work has been stressful and at times I did not feel I had recovered from workouts very well. I understood Rhodiola to have potential beneficial effects on balancing cortisol, the bodies stress hormone, and some studies have even suggested it may boost testosterone naturally. Additionally, I heard it may have beneficial effects on the neurotransmitter dopamine, which drives levels of motivation, something I could use at work currently! I opted for the Life Extension brand, as its a well known quality company, and the extract has a 3% standardised level of rosavins, which is a good measure of the potency of the extract. I took 2 capsules every morning with food, as suggested by the label. Overall, I cannot pinpoint any direct effects I felt from the product. I heard it can take a few weeks to kick in and then tolerance can build and you need to take a break, but I do not feel that over the course of the month any changes in fatigue or motivation that took place correlated with the use of Rhodiola. This is in contrast to another herb, Ashwagandha, which I have used on and off and felt positive effects from. There is research pointing to the sports performance enhancing effects of Rhodiola, but unless you workout in a lab every time for a month it can be hard to assess if any benefits actually took place in this regard. I feel this type of herb is very subjective to an individuals status, so while it didn’t bring me any obvious benefits, i’m not saying it would not do so for other people’s situations. Overall, I would not part cash to try this herb again at the present time. It does feature in many herbal blend formulas, and that may be where it works best, in a synergistic manner. I do find herbs and their purported effects fascinating, it is unfortunate the research isn’t always there, but it is worth experimenting on yourself sometimes and parting with £10 isn’t the end of the world. 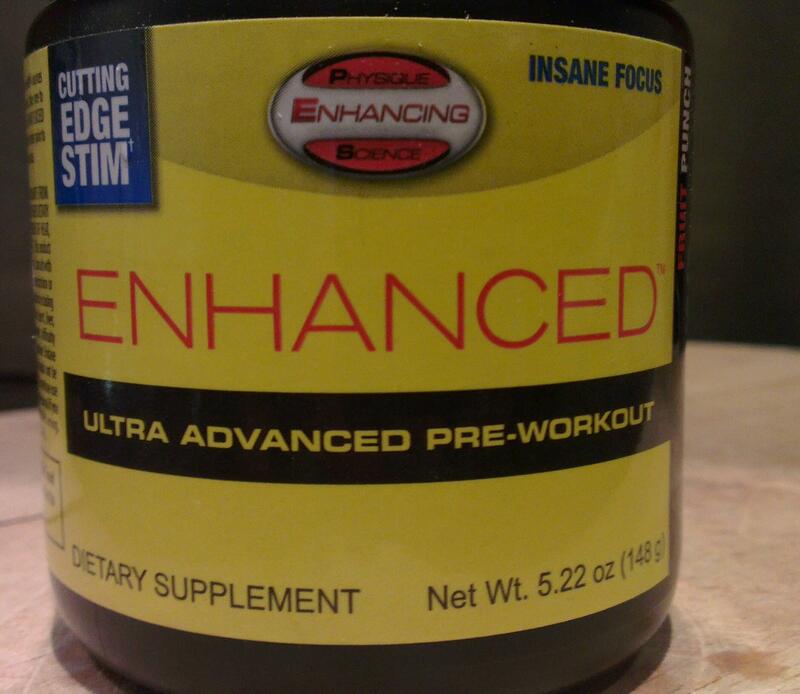 Enhanced is the new pre-workout from Florida based company, Physique Enhancing Science. I have never been a huge pre-workout user, the only previous experience being a tub of Driven Sports Craze last summer, which I initially enjoyed but felt the benefits wore off and eventually the side effects were too extreme to make me want to buy it again, such as difficulty sleeping even 6 hours after dosing, or the reduced appetite in the post workout window, which is not ideal! However, PES are a company that have a range of elite tried and tested products out there, so when they entered the pre-workout market I felt Enhanced must be something good. They had an outstanding pre-sale, so I got the Enchanced and a bottle of their infamous “Erase” supplement, which i’ll review in a few weeks, for around $30. Luckily I had a family member who could bring me the products back from overseas. There is plenty of information about the ingredients on the web, so I won’t repeat the purported benefits, i’ll just comment on things that stood out to me as a potentially potent combination. L-Leucine nitrate combines one of the more effective branched chain amino acids bonded with nitrate, which serves to induce blood vessel dilation and promotes nutrient absorption. Enhanced also contains nPYE, which is purported to be a derivative of the popular yohimbe bark, without the side effects. I myself have tried yohimbe bark in the past and felt like I was going to faint, so I was eager to try this extract. Finally, there is agmatine, which has a long list of reported benefits, including delaying the breakdown of nitric oxide, as a pain reducer (important during those tough sets! ), and even increases LH signalling which signals testosterone production. So as a blend, there are many purposeful ingredients. The blend mixes easily with a spoon and there are no lumps. Some ingredients will settle, but with this type of product you are best to stir and then drink straight away so this isn’t a problem. The flavour is fantastic, it reminds me of the class american fruit punch flavour. The product is sweetened with sucralose only, which is rare for a US company it seems. The flavour definitely covers any bitterness from the ingredients. It was suggested to start with 1 scoop to assess tolerance, but as I hadnt used any pre-workouts for over 6 months, I thought this may be too potent for me, and it was. In fact, I felt somewhat nauseous and also had a mild headache during my workout. I spoke to the helpfull PES reps on the anabolic minds forum, and they suggested that the leucine nitrate can cause this effect initially if you have no tolerance to it. They suggested I try 1/2 a scoop, and this is the dose i’ve used throughout the whole tub. 1/2 a scoop gives a subtle energy, it kicks in about 20 minutes in, there are no jitters, just a smooth focus I find. This is exactly what I use pre-workouts for, you get out of work feeling tired and just need a gentle kick. The pump is fantastic without being painfull, and I feel Enhanced gives a little more fire throughout lifting sets. I did try a scoop before jiu jitsu, but found intense cardio is a little bit too heart-beat heavy, so wouldn’t recommend this. After the workout, your appetite is not supressed at all, and while I initially did feel myself lieing in bed with a faster heart beat when I took too high a dose, i’ve had no issues since going to 1/2 a scoop. I definitely cannot complain, its allowed me to get 80 servings from the tub, and have therefore been using the product for months. The effects have stayed consistent, which is fantastic after my experience with DS Craze. Would I purchase again? Definitely. Apparently the other flavour, Blue Razz, is even better, so I would aim to try this one next. I’ll wait until I visit the US to purchase, as it has not been released in the UK yet, and apparently the formula will change slightly as yohimbe is not permitted in this country. Hopefully this doesn’t affect how good the product is though, and i’m sure PES will make up for this with another ingredient.